Even more details have surfaced in the aftermath of Marvel and Sony's massive announcement that Spider-Man is joining the Marvel Cinematic Universe. A report from earlier today revealed that Sony's Spider-Man spinoff The Sinister Six is still happening, but now another report from Variety has confirmed the previous story, while adding that the studio's other spinoffs, Venom and an untitled movie featuring the female characters in the Spider-Man universe, are still in the works. However, Marvel's Kevin Feige will not be involved in these spinoffs. The deal announced last night revealed that Kevin Feige and Amy Pascal will produce Sony's new Spider-Man standalone movie, which is set for release on July 28, 2017, but it was not ultimately clear if Kevin Feige will be involved in any potential sequels, or the previously announced spinoffs. It's not entirely surprising that Kevin Feige won't be involved in the spinoffs, since he has an ambitious Marvel Phase Three slate to develop, which includes nine movies being released in the span of three years. In more unsurprising news, Variety reports that The Amazing Spider-Man 3 has been completely cancelled by Sony. This makes sense since we reported earlier today that essentially the entire team behind The Amazing Spider-Man and The Amazing Spider-Man 2, including star Andrew Garfield and director Marc Webb, will not be back for the new Spider-Man movie. 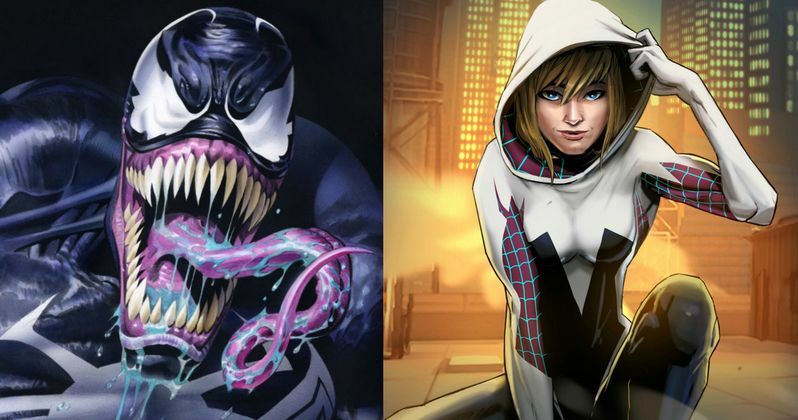 The Sinister Six and Venom had been previously confirmed by Sony Pictures, but the all-female spinoff had never been officially announced, following a rumor that surfaced back in October. It remains unclear if The Sinister Six director Drew Goddard and Venom filmmaker Alex Kurtzman are still attached to their respective projects. Of course, just because both spinoffs are still in development, that doesn't mean we'll be seeing them hitting theaters anytime soon. Are you glad The Sinister Six and Venom are still moving forward?